Ian Baillie is a first-rate bonsai potter from near Edinburgh, in Scotland. He started to grow bonsai in 1974, and was instrumental in creating the Scottish Bonsai Association in 1978, which thrives to this day. Since seeing John Naka in New York, and having studied drawing and painting, Ian went on to be a principal teacher of Art and Design, and he was inspired to create pots for the U.K., as he had seen in New York. He has been producing bonsai pots now for over a generation, and is best known for his hand-thrown pots on his Swedish kick-powered wheel, and all pots are fired in his electric kiln to 1260 degrees C. He also however hand-builds a diverse range of shapes and forms, such as; rectangles, ovals, cascades, nanban, and free form containers. 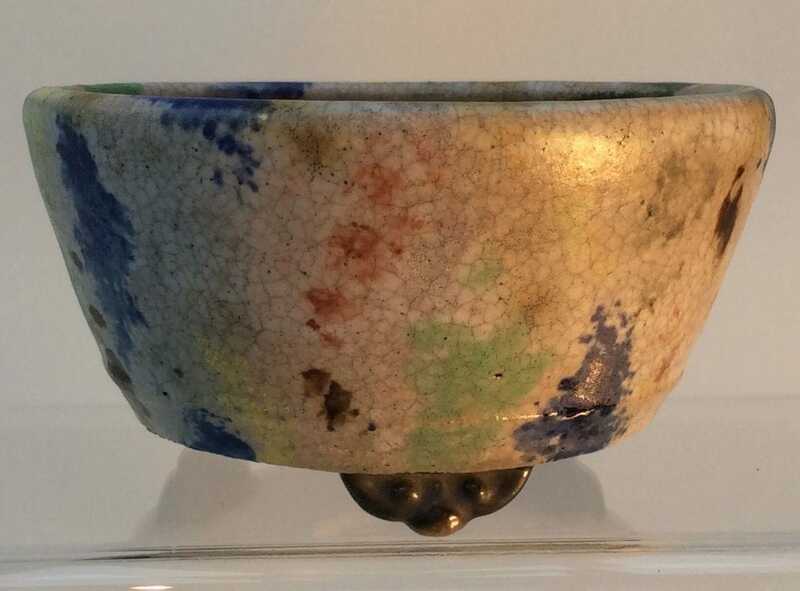 The glazes are superbly made and applied; producing some really quite beautiful pieces, some of which have a fantastic aged / patina look to them. His pots are highly regarded and complement trees in competitions across Europe. Ian produces a select range of pots for his customers, and does not use a website or advertise. 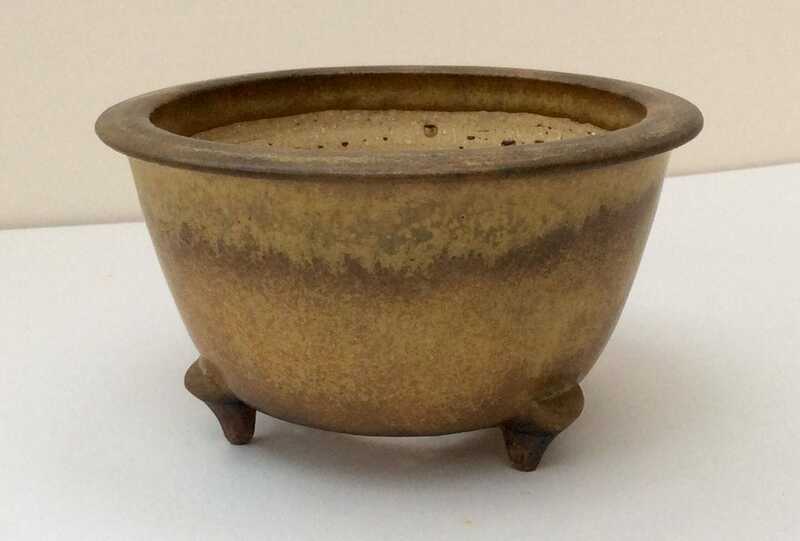 Often, the only way to source a pot by this superb artist, is to be fortunate enough to find him trading at a bonsai exhibition (and not sold out! ).